Andre's Fortress: Australia, wake up! 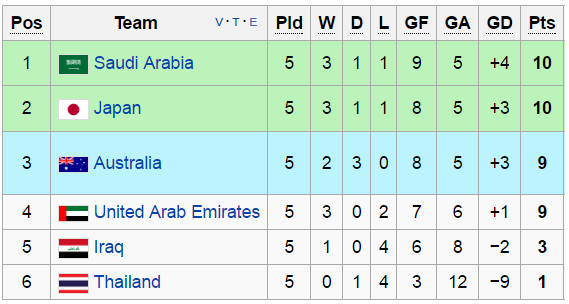 The Socceroos really need to wake up to themselves. I hate being negative, but facts are facts: That was Mooy's worst performance last night in a Socceroos jersey, while Kruse and Leckie were quite bad as well. Kruse was flagged offside multiple times. Mooy could not pass. However the whole team just could not get the basics right. Holding the ball was a problem. Passing was a problem. Everything seemed chaotic and disjointed. They were anything but 'steady'. The only team member who did their job was Mat Ryan. It doesn't matter if they have 3 home games coming up. If they continue playing like that, they will not qualify for the World Cup. 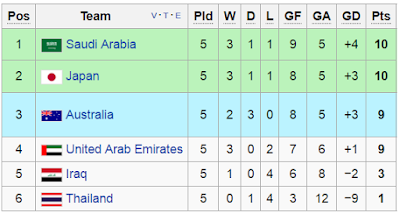 They should have lost to Thailand really, as the second Oz penalty was dubious. If things continue to go awry, there could well be a playoff match against the USA on the cards come this time next year (given the USA's poor form as well in their confederation).